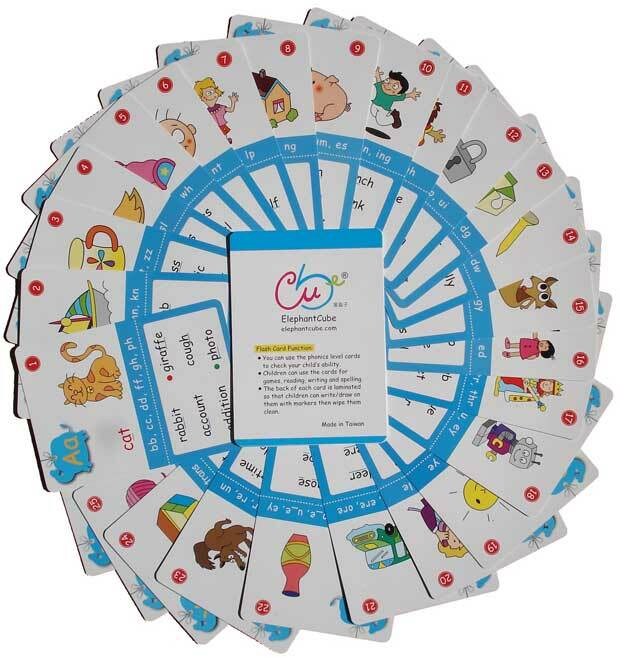 • Includes 32 double-sided cards: 26 alphabet/phonics cards (featuring 182 words and 78 pictures), two phoneme summary cards, one vocabulary reference card, two alphabet tracing cards, and an instruction card. 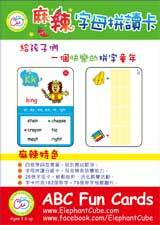 • The flashcards are laminated for longer durability so that kids can write/draw on them with markers then wipe them clean. 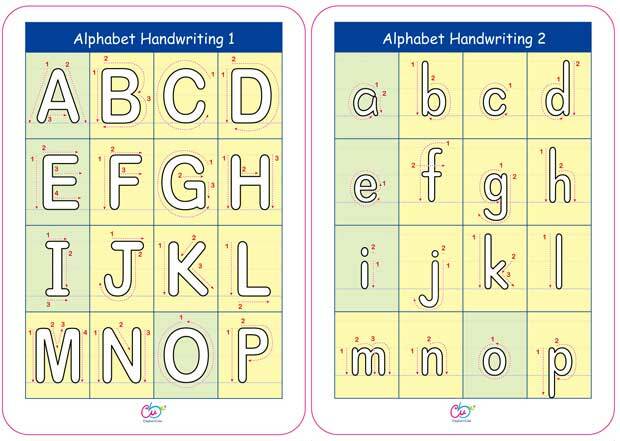 ✓ The top half of the front of each card identifies the uppercase and lowercase letters of the alphabet, plus a word and a picture to introduce the letter sound. 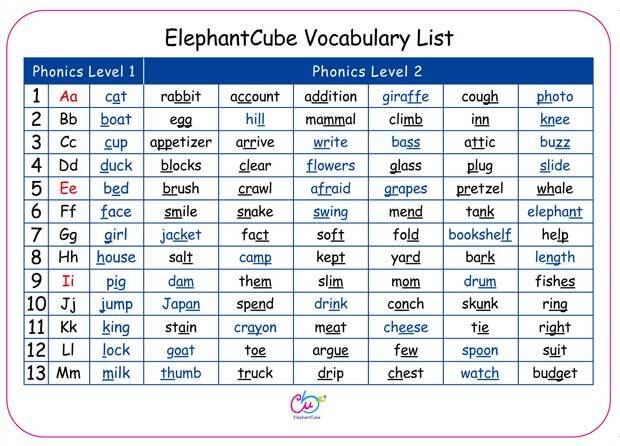 ✓ The bottom half of the front of each card identifies six combinations of letters, plus six example words to introduce the letter sounds. 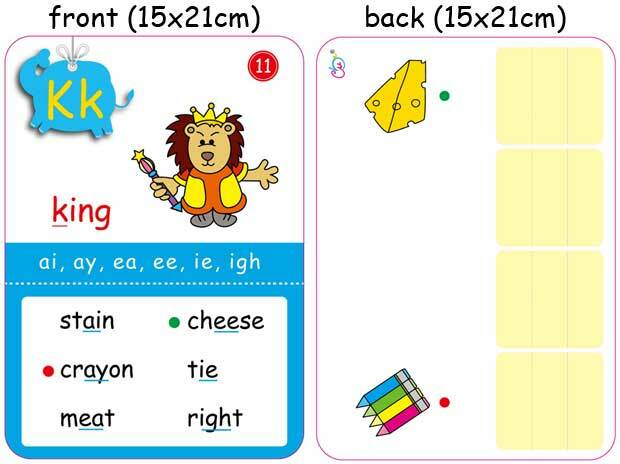 ✓ The back of each card introduces 2 pictures to match two of the words on the front of each card. 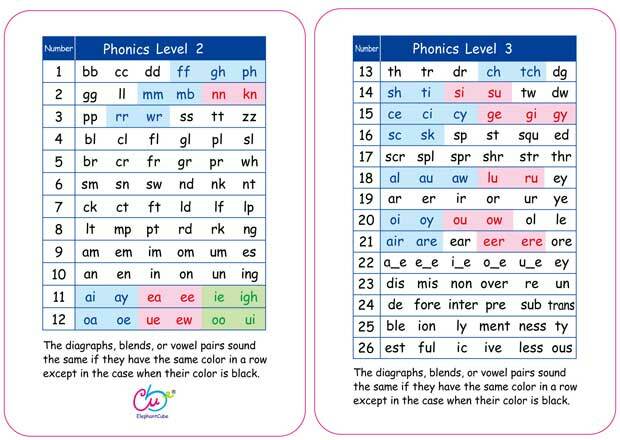 The diagraphs, blends, or vowel pairs sound the same if they have the same color in a row except in the case when their color is black.